For the best Bitcoin transactions in Louisiana, head to your nearest Pelicoin ATM. There you'll find a familiar, easy-to-use ATM with one key difference: it can convert cash into cryptocurrency. Our ATMs support Bitcoin (BTC), Litecoin (LTC), and Ethereum (ETH), three of the most popular cryptocurrencies in the world. Just over 2 miles away from the LSU Baton Rouge campus, this particular Pelicoin ATM can be found at the American Market grocery store on Nicholson Drive. Cryptocurrency may have sounded far-fetched when it first began, but Bitcoin and many others have skyrocketed in both value and popularity. These digital currencies are becoming increasingly practical as more and more individuals and establishments around the world accept them as payment. Whether you see cryptocurrency as an investment opportunity or an alternative to physical currency, Pelicoin is here to help you join this financial revolution. Pelicoin provides convenience and accessibility for the rapidly growing community of people who use Bitcoin or other cryptocurrencies for everyday transactions. 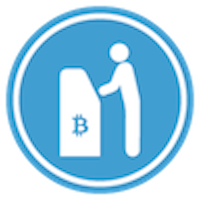 If you know how to use a typical ATM, you can use our Baton Rouge Bitcoin ATM with ease. Take advantage of the simplicity and security of our ATMs today.